The last few weeks I was working with some of my new niche blogs powered by WordPress. Even though I am using WordPress for more than 2 years I still had confusion whether everything is ok or did I missed something. So I made a check list of 25 things to do after a fresh WordPress installation. The list is going to be little lengthier with more than 2700 words, but it is mainly intended for blogging newbies and covers basic things about SEO, WordPress security, branding etc. I hope this will helpful to all those who are new to blogging and WordPress. Here is the checklist of 25 things to do after starting your WordPress blog. This is the first and most important step you should do after every WordPress installation. A permalink is the URL that points readers to your blog entry or post. It is an extremely important function of blogging and is how your readers will link to your post in their browser. By default the default WordPress permalink will look like https://rojish.com/?p=27 . As you can see this is not user friendly as well as not good for SEO. So you have to change your blog’s permalink structure to one that tells a search engine and users the contents of your post. To change your permalinks first go to Settings >> Permalinks. Now choose Custom structure. Enter /%postname%/ in the box and save changes. Now the URL to your post will be the title of your post! WordPress gives you the option to pick up either www version or non www version of your domain. Search engines will treat the www and non-www version of a page as two different pages. So if not corrected, this can cause your blog to have hundreds or thousands of duplicate pages. There are many hot discussions going on whether to choose www version or non www version. But my suggestion is that whichever version you choose, just stick with it, don’t try to change it later. Personally I prefer the www version. To change your blog address go to Settings >> General and enter the www version or non www version of your domain. WordPress will automatically update your htaccess file to redirect the non-www version to the www version. FeedBurner is a free service that is loaded with options that you will not get with the default WordPress feed. It provides you statistics; feed optimization option, feed branding, multiple subscription options for readers and much more. FeedBurner is part of Google Service, and it can be linked to your Google Account. Log on to http://www.feedburner.com with your Google Account and create your feed. Once created the feed successfully, you need to redirect your feed so that when users try to visit yourdomain.com/feed/ they are redirected to your FeedBurner feed page. This way you can keep track of the subscribers on your blog. I recommend using FD FeedBurner Plugin to redirect your feeds easily. Sitemaps, as the name implies, are just a map of your site – i.e. on one single page you show the structure of your site, its categories, the posts etc. Sitemaps make navigating your site easier and having an updated sitemap on your site is helpful for both your readers and for search engines and it is an important way of communication with search engines as well. Google Sitemaps uses a special XML format that is different from the ordinary html sitemap for human visitors. You can create an XML sitemap easily with the help of a plugin called Google XML Sitemap. The plugin supports all kinds of WordPress generated pages as well as custom URLs. Additionally it notifies all major search engines every time you create a post about the new content. 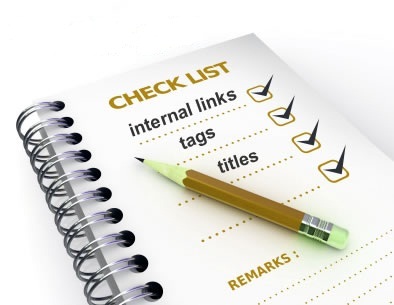 Also, once you created the sitemap make sure you add it to the Google Webmasters Central. It will help you get all your posts indexed faster. Update services are tools you can use to let other people know you’ve updated your blog. WordPress automatically notifies popular Update Services that you’ve updated your blog by sending an XML-RPC ping each time you create or update a post. In turn, Update Services process the ping and updates their proprietary indices with your update. You can learn more about this and get a giant list of 100 pinging websites from this post which I have wrote some time ago. By default many themes show post authors profile information’s like short bio at the end of blog posts. So make sure to update your profile information. Begin by clicking the Users link. Click the Edit link for the user you want to edit. There are several sections of options you can change. When you’ve made the changes click the Update Profile button to save changes. An about me page is an essential tool to establish who you are as a blogger and help readers understand what your blog is about. Having a compelling about me page is one of the best ways to convert your website surfers in to loyal readers. Try to include your story, your experience, links to your guest posts etc. Your contact page is where you provide various ways your visitors can get in touch with you. If a visitor wants to get in touch with you, whether to pay a compliment, talk business or just ask a question, how can they do so? A contact form is a must have for every contact page. Adding your facebook, twitter profile links are also good. If Content is the King, then SEO is the queen. SEO is one of the most effective things you can do online, getting your website optimized in such a way that the search engines will reward you by sending traffic your way. All in one SEO plugin is the all in one solution for your blog’s SEO. This plugin will optimise your WordPress blog so that your posts and pages are indexed more efficiently by the search engines. This plugin lets you add independent Titles and descriptions to your blog posts. It avoids duplication of content and auto generates descriptions. There are tons of other features too, if you care about the SEO of your blog then this is a must have. WordPress platform is built in PHP language. Each time you visit your blog, WordPress will go through a lengthy process to build everything you see. First it will process the PHP code which will make numerous calls to your database and finally output HTML for your web browser to display. This process will slow down your website and increase the load on the server. But caching plugins will help you to serve static files from your dynamic blogs and serve them to your visitors and thus increasing your page loading speed. There are many caching plugins are available but I recommend to use either W3 Total Cache or WP-Super Cache because they gives the best performance. Spammers are the most irritating group of people you have to face in blogging career. You have to prevent them messing your blog from the day one itself. Akismet is the answer to comment and trackback spam. It has been developed by the actual team behind WordPress. Akismet checks your comments against the Akismet web service to see if they look like spam or not and lets you review the spam it catches under your blog’s “Comments” admin screen. Another useful plugin is Growmap Antis Spam plugin. This plugin will add a client side generated checkbox to your comment form asking users to confirm that they are not a spammer. A combination of Akismet and GASP plugin will prevent 99% of spams. WP Smush.it is a free WordPress plugin which will automatically optimize all images already uploaded or new images for better page loading speed. It converts GIFs files to indexed JPGs, it strips unused space from the indexed images and make the images loading faster by reducing its size. Images sometimes have all sorts of meta data attached that aren’t needed, and sometimes they could just be smaller by compressing them in smarter way without losing any quality. Does the blogroll still have the same value it once did? I often felt that it is a waste of your blog’s real estate. The links in a blogroll are not valued nearly as much by Google as in-content links are. If you want to acknowledge other thought-leaders in your industry then mention them and link to their blogs in your articles and delete that boring blogroll from your sidebar. Use that space for something generating clicks, building your email list, converting sales, or contributing to the value of your blog. A disclaimer is a statement that basically holds you and all who blog on your blog, harmless from prosecution. This is not a must have page, but it is good to have one. You can see that all most all popular blogs have a disclaimer page. You create similar ones easily using free disclaimer generators like this. Favicon.ico is, generally, the small graphic/animated icon which web designer put them on the title of the webpage. Favicon appears in front of the web address in visitor’s browser’s address bar. Also, favicon could appear on title bar and in front of the title in bookmark listing. Having a favicon will help you in branding and to stay different from other websites. Creating a favicon is very easy and there are many online tools available for it, this one is my favorite. When you operate a blog, there are often many factors about your marketing efforts that you should know in order to be effective. Without a blog analytics tool you will not have any idea how many people are visiting your blog or from where are they coming. If you do not know where they are coming from or how they came to arrive at your blog, how can you fine tune your marketing approach to increase your traffic in the future? Google analytics is the best and it is free to use. Statcounter is another good tool I use along with analytics. By default WordPress allows an unlimited number of login attempts using the login page or by sending special cookies. This allows password to be brute-force cracked with relative ease. Limit login attempt plugin will limit the number of login attempts possible both through normal login as well as using auth cookies. It blocks an internet address from making further attempts after a specified limit on retries is reached, making a brute-force attack difficult or impossible. The first thing you have to do is to create a blank index.php file and upload it to your wp-content/plugin directory and wp-content/themes directory. This will solve the problem to a certain extend. But if you need a complete protection you need to edit .htaccess file in your WordPress root directory. Make sure to have a backup of your .htaccess file before attempting this. Open your .htaccess file in a text editor (sometimes this file may be hidden in FTP, make sure set your FTP app to “show hidden files”). Add the following two lines in the bottom and then save the file. Every time when you save a new post or pages, WordPress creates a revision of that post or page. If you edit a post 5 times you might have 4 copies of that post as revisions in your database. As your blog grows this will get fill in your database and slows your website. From a search engine spider standpoint, when a broken link is found, that equates to a dead end. If the missing page returns a 404 error, the search engine will identify the page as non-existent and catalog the pages linking to it. Having so many links pointing to 404 pages will give a negative score for your website. As your blog grows it is near impossible to check each and every link manually. Fortunately this is a very useful plugin called Broken Link Checker which automates this tedious task. This plugin will check your posts, comments and other content for broken links and missing images, and notify you if any are found. A Gravatar is a free globally recognized avatar, which is a pic that travels with you and appears beside your name when you comment on Gravatar-enabled blogs. Do you want to be faceless while you comment on other blogs? If you are a regular blog commentator and if you have a good Gravatar then people will remember you and your blog. Branding is an important thing in blogging isn’t it? Your blog has an RSS feed, but don’t limit subscription option only to that. Many people still don’t know what RSS is and you have to provide some subscription options to them also. Why not add an email subscription option? You can easily set it up using FeedBurner. Also don’t forget about Facebook and twitter (I know I don’t need to tell that, because many people create their blog’s facebook/twitter account even before writing first post 😉 ). Okay, you can skip all the 24 steps above if you are not doing this step. Why should you do blogging if you are not planning to write good contents? Take your time, do some research and write awesome posts by keeping your readers in mind (not search engines). This is my check list of things to do after installing your blog. This is the most basic things, and I hope this is useful for at least some of you. Please share your comments, also you can add points if I missed something. Thanks for your comment Praveen. Little big list but a useful one for all wp newbies. The important plugins is what i needed. Thanks for the comment Mukundan. Great big list, however, I just applied for some of these steps, not all. It’s depending on your opinion. That’s an absolutely invaluable list. I know many people say they’ve bookmarked it for future use, but I really *have* bookmarked it for future use. I have a 2 weeks old WP blog that will get many of these improvements as time permits. Glad to know that you found my list useful Charleen. thanks rojish for this wonderful article. this is first time in your blog, i like your design and quality of post . Hi! I did most of these things in the beginning, except I don’t use any caching plugin. My blog is not so big yet – is it a certain size after which these plugins are required? I would guess in the beginning it’s not a big difference if you use one or not…Thanks! Hello Allison, cache plugins improve your blog speed even if your blog is new. This is because both old and new blogs uses almost same amount of database queries. But these cache plugins convert this dynamic process in to static files and serve that to your visitors and thus increases your blog speed (it was almost double in my case). Most of the time i would prefer Yoast SEO plugin, instead of All in SEO plugin,in my opinion it has better facility then all in one SEO. otherwise this list is great for beginners, Only tip, I have taken here is disable revision, But Do you think this is good ? I am very much sure instead of disabling it i would prefer a bulk delete plugin so that i could delete these type of revisions. After all revisions can save us if something gone wrong. I kept post revision enabled for almost one year and used wp-optimize plugin to delete it occasionally. But I never had a situation in which I need to use those revisions. So I thought about disabling it completely. And yes, Yoast plugin is a good alternative to All in one SEO. I think I read somewhere that WordPress has thousands of plugins. Having that many options for Blog(site) improvement is fantastic, though, it would probably get a little confusing when narrowing the choices down. Also, I like the way you have Designed your site. It’s very easy to navigate around. Thanks for your comment Daniel, I am happy to see you here. Ahh thanks for letting me know about the disable revisions thing, you taught me something new today 🙂 I might do that but does it really slow down my blog by a lot? Can you really see the effect anyway? Enabling post revisions will not create much problem during the initial period of your blog. But as your blog grows and have lot of posts with 4 – 5 revisions per posts, then that will consume lot of space in your database. As a result the database load increases and finally decrease your blog’s page loading speed. Thanks for stopping by and dropping a comment Harrison. Thanks for the nice info rojish. It is very helpful to newbies. Thanks for the comment Safal. Rojish,seriously this is a great great great post…you have included each and every point..this was of great help to me.. I am very happy to know that you found it useful Ajay. This is my first visit to your blog and I think you have done a very nice work. Always fun to see what other people are able to do with WordPress. Well, this is nice tutorials for newbie who want to build a blog with WP, I think I forgot some thing in your list above, may I need to fix it soon, Thanks for great post, Rojish./. Following these steps, you can now optimize your wordpress after installation very well. I lately found a useful plugin called “WP-Copy Protect” What it do ? It disallow the right click, and highlighting your text, and by doing so copying your content. Hi Rojish, First of all I wanna say thank you for this information. I have a little knowledge about word press but not really the whole information on it. When i tried to search about installing word press I found your blog and I don’t have any doubts to open it. When I read the information above I can say that I am not wrong in opening your blog. It’s really working. Thank you so much. When one of my friend’s site gets slow, the Hostgator team told him to uninstall ‘All In One SEO’ and install Greg’s High Performance SEO. He then shifted his site to hostmonster, took a space having more bandwidth and continue using All in one. He finds All in One more user friendly than Greg’s High Performance SEO. All in one SEO plugin is the best SEO plugin I ever used. It gave me the best results. All in one SEO can be make our site a little slower if we have lot of tags for the posts, so I try to keep number of tags to the minimum. Good resource for a blogger who is using worpress. A ulti guide fore the newbies who have started blogging! I had to make a checklist to findout whether all this is in my blog or not ! Waiting for sunday to come! Bookmarked and shared ur article! Glad to know that you found it useful Shashank. Wow. This is a really comprehensive post on the things you need to do after installing your wordpress blog. Sadly, I missed the www and non-www when I did mine as I would have preferred to have the www. It seems wordpress takes the non-www as default. in word press having much more things to study and if we getting like this idea meas we can do better After reading this post I have found the special trick which are going to help in my life Thanks for the great post. These things you have listed here are very helpful…Thank you!! I agree with everything, especially also including the All-in-One SEO plugin. You might also want to remind people that since Feedburner was bought up by Google, all new feeds will need to be activated through Google. Which is good for blogging WordPress or joomla? I am already an expert in joomla. do i need to master wordpress to start blogging ? Or can i proceed with joomla. ? If you are running a blog then WordPress is much better because you can customize it in the way which you like. There are hundreds of awesome plugins and themes available which makes your task very easier. Thanks for the tips Rojish. I have a doubt in permalink structure, I use “/%postname%” as my permalink structure, but why you added “/” to the end (/%postname%/ ) Does it have some benefit? Yes, there is a slight SEO benefit. When search engine bot visit your website, they receive what is called an “HTTP status code” from your web server which tells them the status of the URL. When the Google bot fetches a page with trailing slash “/” it gets a 200 OK status code and when it fetches a page without trailing slash “/” it gets 301 status code. 200 OK status code is slightly better than 301 in SEO perspective. Anyway don’t try to change your permalinks to that having a trailing slash, stick with what you already have. That’s because search engines treat both pages as different and so if you change the permalinks it will create duplicate content issue. The Google XML sitemap plugin has been a huge help for me and pretty much every WordPress user I know, as far as super-fast indexing goes. Also, good tips about getting a gravatar and writing quality content. A gravatar gives you a personality and somewhat of an accountability which is very important for a new blogger. Nice tips. Especially the one about the blog roll. I agree about the google bit, but very often blogrolls are also a way of networking and exchanging links. Great post I do most of whats on here and I have learnt something new. The part about moving the installation files is a good move and did not know you could do that. I use Yoast SEO plugin and find it does send my pages up the rankings another one I would recommend is Blog Protector by PCDrome. which stops anyone copying and pasting content from your WP blog. Well explained Rojish its like a walkthrough in blogging. Thanks for sharing. For anti spam may I add akismet plugin for tracking spam comments. Stumbled thorough your article, while I was searching for something else. Good to know that I’ve done all these steps in the checklist except setting up an “About us” page. My son posted me the link to your blog. Fantastic advice for the newbie. Thanks. This list is awesome! I’d bookmark and share this article. Very nice tips after installing WordPress. very nice resources list rojish 🙂 its really very very helpful article for newbies . fantastic list – there were a few things on there that I don’t do as standard and having seen how easy a few of them are – spot on! Really every point you explain here is helpful even for a basic level blogger. Excellent post bro 🙂 . I am totally agree with all the point you mentioned here.Specially with first one that says permalink structure.It is necessary and all the SEO structure of site is depending on permalink. I love your site Rojish, I’ve learned so much since discovering it a couple of months ago! I knew a lot of the steps in this post already but certainly not all of them, so thanks for sharing your expertise! Keep up the good work. This is great advice for people new to creating blogs such as myself. With the many plug ins and options out there it’s nice to have some specific guidance. I personally prefer the www version of a blog for some funny as well as technical reasons. Hello Sir, I am new to wordpress I was blogging on blogger till now so thank you for telling me these things I should do after installing wordpress. thanks for the 25 key points..I am starting my new niche blog soon and this post will serve as a starting point. I recommend many other of my friends to this post who are just starting a blog. the simplest but the best list ever, it will be much useful for newbie blogger and even for pro blogger, what is your suggestion for SEO purpose? are you using plugin or something? Thanks Rojish . You’ve covered almost all the things that we need to implement after installing WordPress. I searched 5-6 sites all the points are included. Great Post ! #25 cannot be underestimated. I know it seems obvious, but the act of writing good content is often taken for granted and often comes down to motivation Great post and very relevant. What do I have to say? With me, I’m in love with your last point-writing quality contents. hatts off to you. really a good source of knowledge.. I dnt have much knowledge about the caching plugin but here I got to know a lil bit.. thnx..
Teriffic post – Not too long at all. The more detail the better. I found this looking for another article I’d used, but this was more comprehensive. I reckon it’d be nice to reference some of the plugin owners who make their work open source. This is indeed a great post. well crafted and understandable. This tips can really improve engagement. keep sharing.